About Ashby Avenue Ashby Avenue, or the NTR Stadium as it is currently known, is a very pleasant non-league ground. It is currently being used by Lincoln Ladies who play in the top flight of Women’s football so facilities are good. It has two stands, on either side of the pitch but covered areas behind each goal. The dug out blocks are also quite unique, with a TV gantry plonked on top. The disappointment comes from the fact there isn’t a bar for the fans at the ground. The licenced facilities (and Sky TV) are reserved for Directors, guests and officials which seems most bizarre. How to get to Ashby Avenue Most people will come via the A46 from the Newark direction. When you reach the first roundabout for Lincoln follow the A46 north and then over two more roundabouts. Ignore signs for Lincoln City FC. Take 3rd exit at next roundabout s/p Skellingthorpe, Lincoln City Centre onto B1173. Follow this road for a mile, going past Hartsmere Park on your right hand side. Take 2nd right after Park into Ashby Avenue and the ground is on right hand side after 300 yards. There is plenty of free parking in the ground. If you are coming by train the nearest station is Hykeham, which is about a 2 mile walk. The easiest option is to go to Lincoln main station and get a cab. 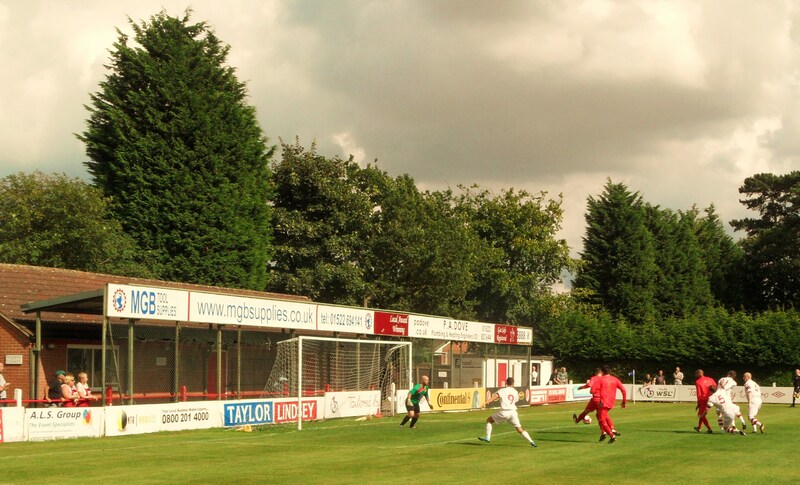 Admission to Ashby Avenue Admission for adults is £7, concessions £3. Programmes are given away free at the gate. Our last visit – August 2012 I was never going to miss this game. For those without in-depth knowledge of the workings of the Fuller household will know we are sans enfants for a week each year whilst they go back to their northern roots. Current Mrs Fuller and I use the time to do all the things that couples without children do. Eat where they want and when they want, read real books, watch thought-provoking drama on TV and even get to hold hands in public. This year their departure coincided with the TBIR pre-season training camp in Düsseldorf so it wasn’t until Tuesday that CMF and I could kick back and catch up on life from the previous year. Our guilty pleasure was a trip to Marrakech. Probably not the wisest destination in the middle of August but I had promised her some sun. What we got was 48 degrees of blistering sunshine. 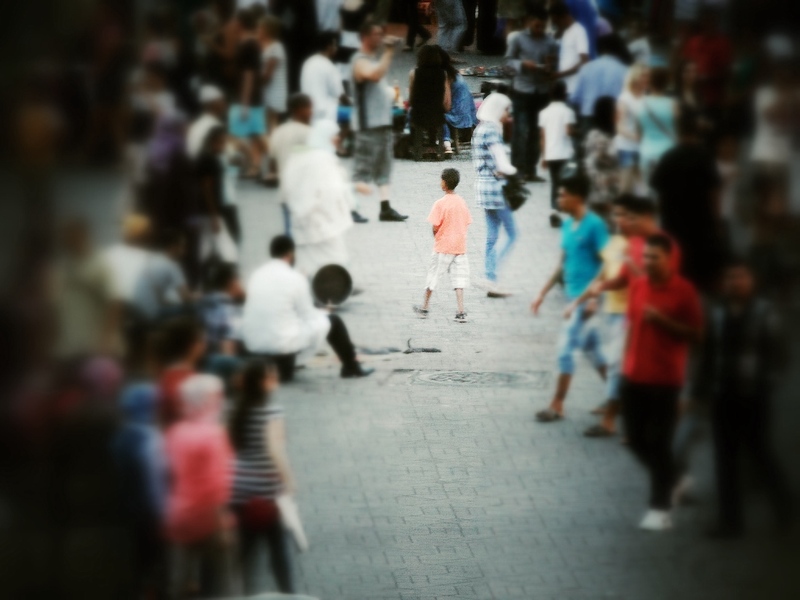 It’s hard to function in such heat but we were thankful for our discreet little Riad in the Medina where they asked no questions and we told no lies. It was a slice of nirvana from our hectic lifestyle back in Blighty. Nirvana you say? Well funnily enough our strange week of exotic destinations would see us end up seeing Nirvana….Thurnby Nirvana to be precise, of the East Midlands Counties League (That should win me an award for the most tenuous link between stories). It was FA Cup time again and originally I had planned to pick up the littlest Fuller’s on the day of the Preliminary Qualifying round. It had the potential for the first competitive Lincoln derby for decades. Lincoln United would play the winner of Thurnby’s game with Lincoln Moorlands Railways. This was more than just a battle for bragging rights in South Lincoln, oh yes. The prize money of £1,750 would also come in very useful for the winner. 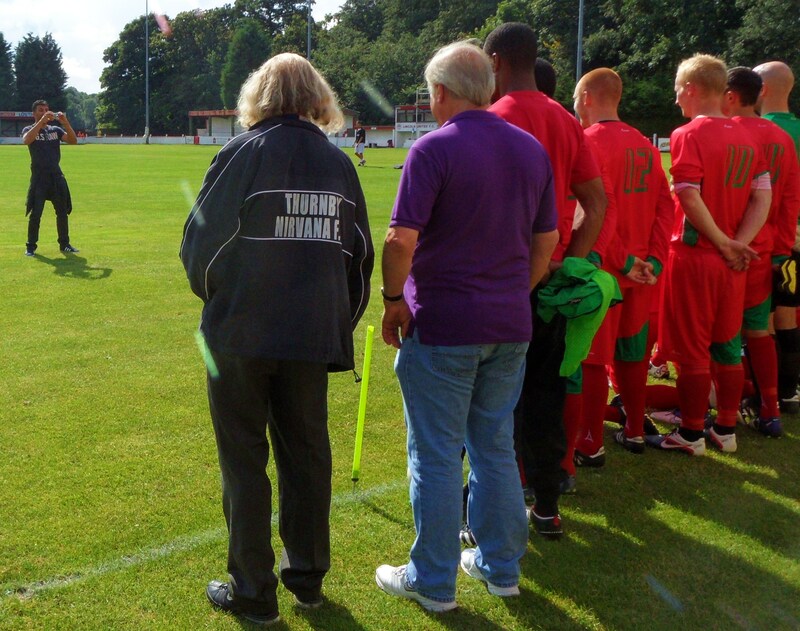 Alas, Thurnby beat the Moors and earned themselves a trip to Ashby Avenue to take on United. Lincoln is one of only four English cities that can boast a “City v United” rivalry. Like Oxford and Cambridge the two sides rarely meet in competitive action but there is always hope in the cup. The Whites of Lincoln United would have to win four ties and then have a 1-in-63 chance of drawing the Imps, but even so, it was a chance. Dreams do come true – after all, how did Ashley Cole end up marrying Cheryl Tweedy a few years ago. United are currently plying their trade in the Evostik League South Division. Don’t get the league confused with the Evostik League South Division whatever you do. I mean who would call two divisions separated in places by 200 miles the same thing – I ask you! They were originally known as Lincoln Amateurs but back in the 1950’s they signed a professional player and as they couldn’t persuade him to be paid from the proceeds of the meat raffle, they had to change their name. If only they would have had the same imagination (or hallucinogenic drugs) that the founders of Leicester Nirvana would have had. After all there cannot be any situation in life where those two words could sit happily together in the same sentence otherwise. In 2008 they got together with nearby Thurnby Rangers and a super club akin to Cream, Electronic or The Foo Fighters was formed. And on the subject of the Foo Fighters who were of course formed by ex-members of Nirvana, the whole story comes 360 degrees. I’d been to Ashby Avenue before with Northern Steve so it was only fair that he came with me again. Well that’s the excuse he used with Sister of CMF anyway. I asked him if I was alright going in just a t-shirt such was the heat of the day. “That’s fine. Come as you are” said Northern Steve (cheap, irresistible Nirvana gag done). Ashby Avenue is a smart little non league ground. It’s had a fair bit of work done on it since I was last year, primarily because it is now the home to Lincoln Ladies who playing the FA Women’s Super League. We saw a sign for “Live Barclays Premier League football here”. Excellent – a half time pint and a bit of Jeff Stelling – perfect. We arrived just on 3pm but there was a delay. One of the away team had used black table to shore up his shin pads. As all good footballer scholars will now know it is against a breach of those very important rules and so we waited for the player to find some red tape. Is it any wonder the FIFA are losing the respect of fans, players, managers and generally everyone in football with nit-picking ridiculous rules that serve no purpose at all. Was it dangerous? Was it likely to affect the game in any way? Was it going to confuse anyone? No, of course not. So keep your stupid rules out of the game. Rant (for now) over. Finally, the teams emerged and we were ready for some action. It seemed that the locals had been as excited as me at seeing Nirvana play as there was less than 100 spectators ready for the magic of the cup for another year. Lincoln United would be hoping for a run similar to the one 21 years ago when they reached the 1st round proper where they lost 7-0 to Huddersfield Town, whilst this would only be the second run out in the competition for Nirvana. Looking at the programme, two names stuck out. On the home side there was Sean Wright, whilst Nirvana had Shaun Phillips. A marriage made in heaven surely? Lincoln United 1 Thurnby Nirvana 2 – Ashby Avenue – Saturday 25th August 2012 The smell of the liniment, the roar of the crowd, the blood and thunder of a cup match. For the very few who stayed to the bitter end, and by that I mean a good five minutes after the final whistle then there was an afternoon of high-octane drama. This was a shock result, although not in the giant killing category, but if you would have had a bet on Nirvana then you may have been quids in. Ah yes, stupid rule number two. I technically couldn’t have had a bet on his game. Nor any game in the competition. As a director of a club that play in the FA Cup I am deemed to have inside information which could allow me to financially gain. So last season, after Lewes’s 1st Qualifying Round exit to Chertsey Town, I was not allowed to place any money on games such as Chelsea v Spurs, or Liverpool v Everton in the semi-finals, “just in case”. Madness. The game started at a frantic pace. Having just come from Northern HQ and seen possibly the worst West Ham defensive performance in living memory away at Swansea City, it seemed that the Thurnby defence had also benefited from an Allardyce defensive master lass. They were shocking and spent the first fifteen minutes chasing United shadows, resulting to some rash tackling that more often than not was so badly timed they missed the attacker completely. 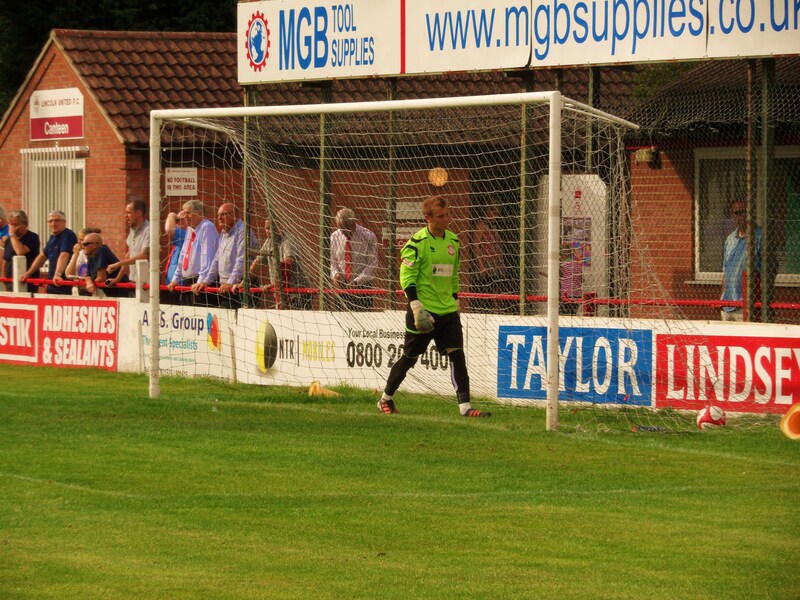 Lincoln hit the bar after fifteen minutes, when a flighted chip had the Thurnby keeper stranded off his line. But then all of a sudden the visitors remembered they had 10 outfield players, including two wide men and started to use their pace. And all of a sudden they looked the more dangerous side. Time after time they exploited the fullbacks including United’s Player-Manager Terry Fleming. It was no surprise that the first goal came down the flanks. Some neat passing saw the winger released and his cross was turned into the net by George Himan. Fully deserved at this stage. The game wasn’t for the faint hearted as tackles flew in, benches protested and waved imaginary yellow cards and the officials simply looked confused. Just before the break this was emphasised by the decision not to send off the Thurnby no.7 after he clearly left his foot in when running through on goal and the keeper came to collect the ball. At least one of the officials saw it as the card colour was yellow not red. At half time we headed for the bar. Except there wasn’t one. Nor was there any Sky Sports showing “Live Premier League Football here”. It seems that those facilities were saved for the “Executives, Directors and Guests”..we had to make do with a cup of tea in the Willy White Suite which was. Tiny portakabin where the strongest thing on the menu was the onions for the hotdogs. In an age where non league clubs are trying to fight for every penny, why have a bar that’s only open for people who I doubt would pay for it anyway. The room looked like it could easily fit the whole crowd in and have spare to swing a cat or two. Bizarre decision to say the least. The second half saw no let up in the tempo although Thurnby seemed to forget about the success in the first half. The sunshine had been replaced by threatening clouds in the distance that rumbled and flashed with thunder. Just up the road (well, technically it is although the A1 is a very long road indeed), the Sunderland v Reading game had been postponed due to the weather. It was no surprise when a second goal for the visitors came on the hour though. Finally the ball found the tricky winger on the right. He jinked and jimmied before delivering a low cross into the area and the ball was smashed home by Matt Melbourne. Surely game over? The home side still hadn’t noticed that the Thurnby keeper didn’t actually appear to be fully fit. In fact from the first minute it was obvious to the more observant amongst us that he never kicked the ball from hands, or took Ny long goal kicks. He also didn’t like being put under pressure and when United did do that from a corner, they scored. Fifteen minutes left – game on! By now, thanks to all the delays, it was nearly getting dark. We were still playing at 5.05pm and with the storm getting ever closer most of the crowd urged the final whistle. When it came it brought some celebration from the away contingent. Handshakes all round and the crowd filed out. But as we prepared to depart we saw some handbags between the sole Lincoln player left on the pitch and a few Thurnby players. 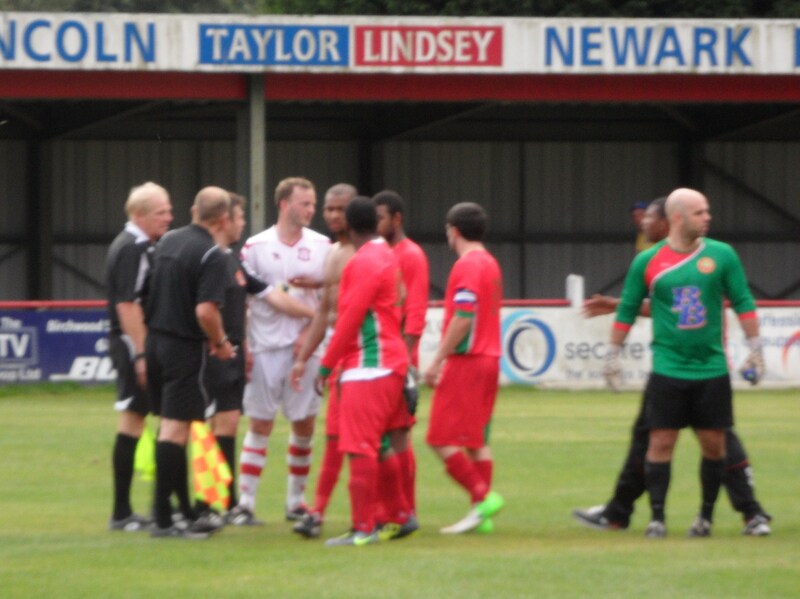 I’m sure it was all over who would swap shirts with who but the referee brandished a red card for someone. No idea who but we can only assume it was for the Lincoln player. Getting sent off after the final whistle, or in the tunnel, always seems to me to be a bit of a cheat. The crowd want to see what’s gone on and instead are just left confused. So Thurnby could travel back to Leicestershire with a good scalp, £1,750 and the promise of a tie in two weeks time in the 1st qualifying round at home to Gresley. 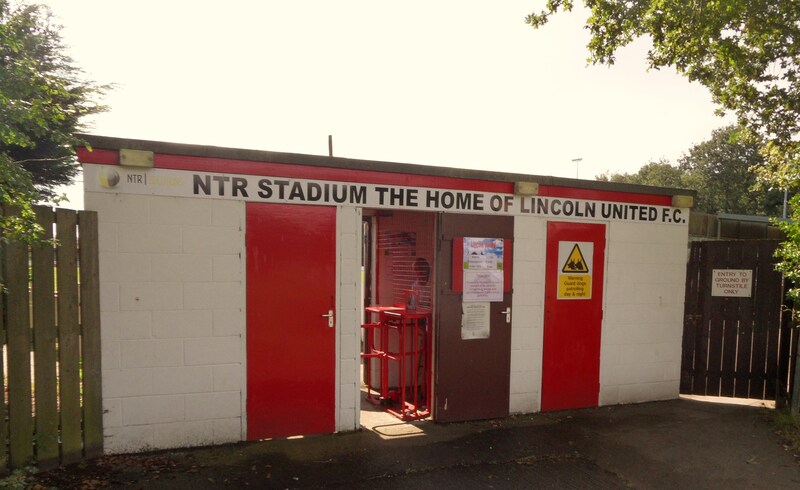 We headed back to Northern HQ, thinking perhaps Lincoln United could have done more on and off the pitch. 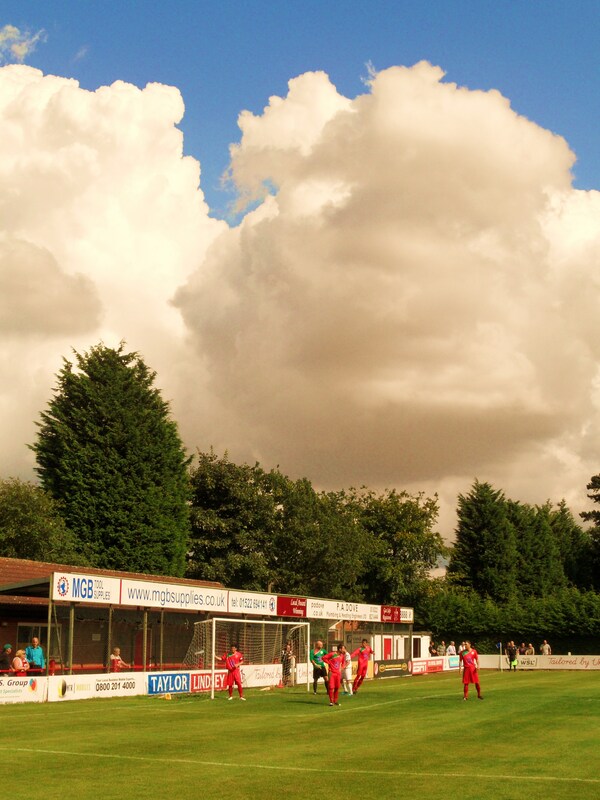 With Lincoln City also at home just a few miles away, I left Ashby Avenue thinking that the club were missing out, both in terms of additional “social” revenue but also as an attraction to local floating fans. But then again, what do I know. As Kurt Cobain once said, “Nevermind”.